Proposition 65, the Safe Drinking Water and Toxic Enforcement Act of 1986, requires manufacturers and other businesses to inform consumers about potential exposure to chemicals that are known to cause cancer, birth defects, or other reproductive harm. During this webinar, speakers will discuss new and emerging issues regarding the Prop 65 legislation in California. Do the new regulations that went into effect really change the underlying law? Where are the real changes happening? Panelists will also discuss preemption issues, the standards used to place chemicals on the list, impacts for retailers and suppliers, and more. 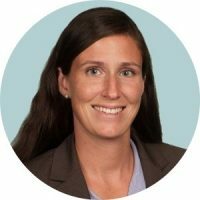 JESSICA P. O’CONNELL is a Partner in Covington & Burling’s Food and Drug practice group in Washington, DC. She advises companies and trade associations on complying with US regulatory requirements enforced by FDA, USDA, FTC, and state regulators for the manufacture and sale of foods, dietary supplements, cosmetics, OTC drugs, and animal products, and the import and export of all FDA and USDA-regulated products. Before joining Covington, she was an Associate Chief Counsel in FDA’s Office of Chief Counsel. While at FDA, Jessica counseled various components of FDA and HHS on legal issues primarily related to cosmetics, foods, and dietary supplements. Jessica received a bachelor’s degree in biology and physics from University of Virginia, an MPH from Johns Hopkins, and a JD from Georgetown University Law Center. George Gigounas, is a Partner at DLA Piper. Based in San Francisco, he advises on compliance with product safety laws and regulations with particular focus on California’s Proposition 65. He represents clients in product recalls and withdrawals and has provided advice regarding a wide range of products, from electronics to personal care products, vehicles, over-the-counter medicines, and prescription pharmaceuticals. 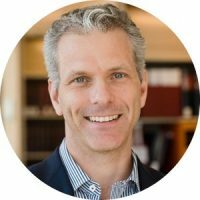 He helps clients ascertain and monitor regulatory compliance, develop product testing programs, implement required certifications and handle enforcement actions or litigation under federal and state products laws. 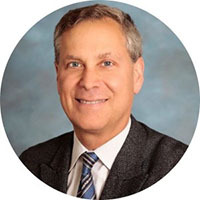 CHRISTOPHER VAN GUNDY’s practice involves counseling and representing food and consumer product manufacturers, distributors and retailers both in litigation and as to regulatory matters. He defends companies in consumer false advertising purported class actions, and advises on FDA, USDA, California Proposition 65, and CBD matters. 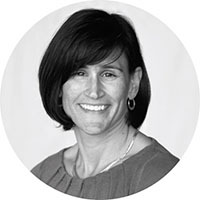 AMY NORRIS is the Chief Legal Counsel for Clif Bar & Company, a leading maker of nutritious and organic foods and drinks. Amy advises the company on a variety of operational and strategic matters, including food safety, food labeling, advertising, litigation, and domestic and international business risk. Amy also oversees the regulatory compliance group. Amy has been with Clif Bar for more than eight years. Prior to joining Clif Bar, Amy was in private practice for ten years. Amy earned her juris doctorate from the University of San Francisco and a Bachelor of Arts from UC San Diego. Amy has previously spoken on food labeling, food advertising, food law litigation and Proposition 65. She co-authored an article entitled When Regulation Can Lead to Litigation: Top Issues in Food & Dietary Supplements and contributed a chapter of the American Health Lawyers Association’s Enterprise Risk Management Handbook for Healthcare Entities.